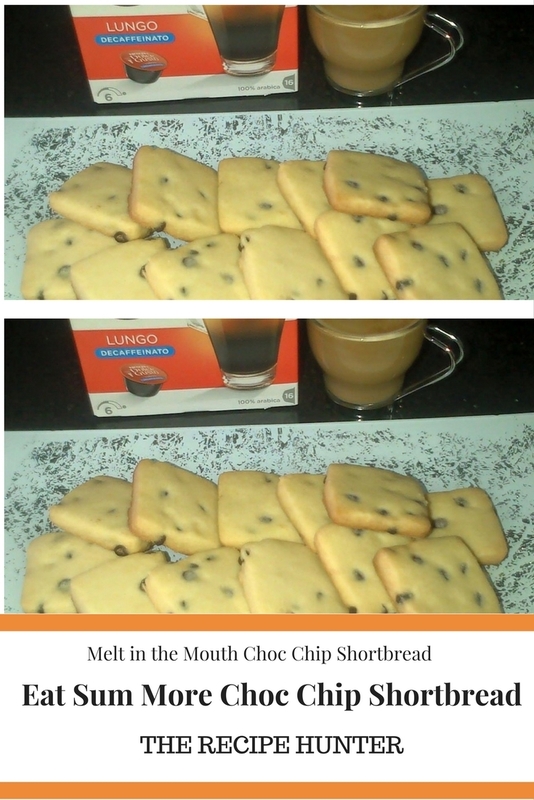 Melt in the Mouth Choc Chip Shortbread! Add choc chips, mix well Roll into a round disc and refrigerate for 30 minutes, remove from fridge and roll out into 5mm thickness & cut into squares. Bake at 160C for 25 minutes.